The other pre-requisite for this conversion is that it can only be applied to the early, pre-A+ type mainshaft gears. That's those that have the square-topped teeth as supposed to the distinctively pointed A+ profile. This is because despite being endowed with A+-type fittings for the mainshaft end and layshaft, the conversion gears have the pre-A+ tooth profile. This is not to say that the conversion cannot be put into an A+ gearbox casing - it can and is detailed below. What is essential to understand is that the pre-A+ second and third mainshaft gears are going to be needed. First gear is the same in all 4-syncro gearboxes irrespective of whether they're pre-A+ or A+. When utilising the A+ first motion shaft and laygear, this is very straightforward. Simply exchanging the existing ones for the close-ratio versions is all that's required. Everything else remains the same. If only the pre-A+ variants are available/sourced, then you will also need to use a pre-A+ mainshaft, pinion retaining nut, layshaft and centre-web layshaft thrust washer and relevant bearings. 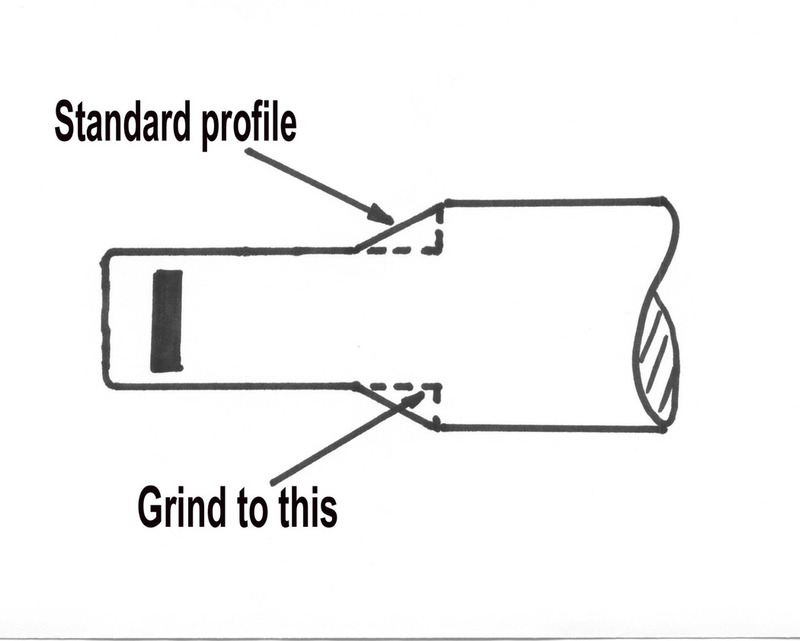 The mainshaft is required to provide the smaller 14mm first motion to main shaft support bearing, the pinion nut because the thread is different to the later types, the layshaft for the reduced carrier bearing sizes used and it's accompanying centre-web thrust washer for correct layshaft clearance/bearing retainer hole. Fitting the mainshaft is a simple swap for the pre-A+ one with no other fitting problems. Fitting the laygear and layshaft is straightforward without any fettling or fixing required. It is imperative that the pre-A+ layshaft centre-web thrust washer be used. The A+ one does not locate the bearing properly, and would allow a certain amount of 'float' in the shaft to occur.